Electric Vehicles and more. Included in this issue: activities, videos, competitions, STEM Energy 101 resources, and career ideas. The Vehicle Technologies Office (VTO) provides low cost, secure, and clean energy technologies to move people and goods across America. Last year, trucks transported 11 billion tons of goods, and people traveled over 3 trillion vehicle-miles. Growing our economy requires moving more people and more goods more efficiently, saving consumers and businesses money on their transportation costs. Learn more. 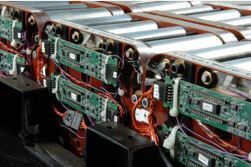 While a number of electric drive vehicles are available on the market, further improvements in batteries could make them more affordable and convenient to consumers. Some heavy-duty manufacturers are pursuing the hybridization of medium- and heavy-duty vehicles to improve fuel economy and reduce idling. Learn more. 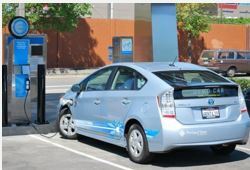 There are two basic types of electric vehicles: all-electric and plug-in hybrid electric vehicles. 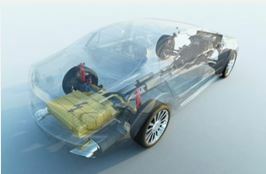 In addition to charging from the electrical grid, both types are charged in part by regenerative braking, which generates electricity from some of the energy normally lost when braking. The type of vehicle that will fit your lifestyle will depend on your needs and driving habits. Find out which models are available. Long-haul tractor trailers are essential to our economy— moving more than 70% of all freight (about 11 billion tons). 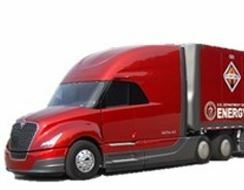 VTO’s SuperTruck program challenged teams to improve freight efficiency through innovations in engine technology, lightweight materials, aerodynamics, and other systems-level improvements. Teams demonstrated improvements as high as 115% over their 2009 baseline. Learn more. Nearly 100 local coalitions serve as the foundation of VTO’s Clean Cities program. At the local level, coalitions leverage objective information resources about alternative fuels and advanced vehicles to reduce petroleum consumption. Clean Cities' resources are available to the public and include the IdleBox toolkit—an outreach and education resource that can be used to launch an idle reduction campaign in your community. EcoCAR 3 brings together industry, academia, and government to educate and develop the next generation of automotive engineers with hands-on, real-world experience. The competition challenges 16 North American university teams to redesign a Chevrolet Camaro to reduce its environmental impact, while maintaining the muscle and performance expected from this iconic American car. The Year 3 competition culminates in May 2017 in Washington, D.C. Learn more. 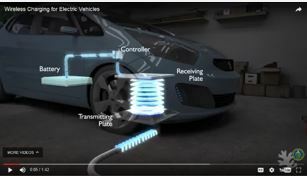 Going wireless is the dream for most electric vehicle consumers, and thanks to a project VTO is supporting with Oak Ridge National Laboratory, drivers could soon be pulling the plug on their charging stations. The lab’s wireless power transfer project recently received a special recognition award by R&D Magazine for innovation. Watch the video to learn more about wireless charging. Cummins, a leading manufacturer of diesel engines, turned to the national labs when challenged to meet new diesel engine standards. 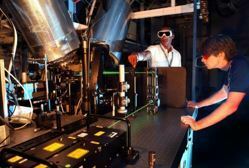 Sandia National Laboratories, Los Alamos National Laboratory, and Lawrence Livermore National Laboratory provided expertise in laser diagnostics, computer modeling and state-of-the-art facilities from renowned, world-class lab scientist teams. Cummins needed all of these elements to meet tighter emissions standards while staying economically competitive in the market. Read more. Good tires are essential to fuel economy, which is why Cooper Tire recently developed concept tires that can improve fuel efficiency by 5.5%, supported by a Vehicle Technologies Office project. The Cooper team replaced the standard steel belt with alternate lightweight materials to reduce weight and replaced commonly used carbon black and silica fillers with innovative reinforcing fillers to minimize energy loss. 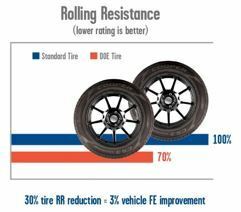 In addition to exceeding VTO’s goal of improving fuel efficiency by 3%, the new tires are more than 23% (5 to 6 pounds) lighter than current tires. Read more. The current trends affecting our transportation system are increased population, autonomous driving, connectivity, mobility as a service, urbanization and big data. The Vehicle Technologies Office Energy Efficient Mobility Systems' (EEMS) goal is to identify and explore untapped transportation system-level efficiencies with modeling and deployment activities for Systems and Modeling for Accelerated Research in Transportation (SMART) Mobility, including connected and automated vehicles. 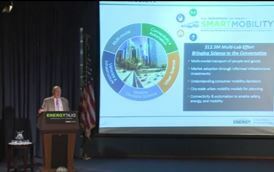 In a recent DOE Energy Talk David Anderson, a VTO Technology Manager, discussed EEMS' SMART Mobility Initiative. Watch video. 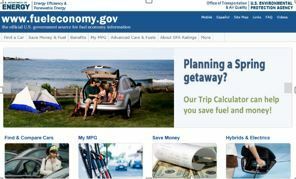 Use the official U.S. government source for fuel economy information to find and compare vehicles, calculate fuel economy, and get tips to cut fuel costs. Planning a spring getaway? Looking to buy a new car? FuelEconomy.gov provides consumers with tools and resources that can help! EcoCAR: Where Are They Now? Former EcoCAR 2 participant, Noel Marshall, graduated from Colorado State University (CSU) with a degree in mechanical engineering in 2012. 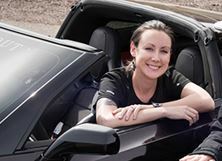 During her time at CSU, Marshall was a member of the CSU EcoCAR 2 program. Marshall currently works at Arrow Electronics as an applications engineer. Arrow Electronics is a global provider of products, services, and solutions to industrial and commercial users of electronic components and enterprise computing solutions. "The biggest thing I learned with EcoCAR was that if someone says it can’t be done or it shouldn’t be done, that’s when you should pursue it,” Marshall said. “Because it could be groundbreaking. If you push the envelope and push yourself, that’s where the growth happens, and that’s where you learn.” Read more. Alternative fuels are derived from sources other than petroleum. Most are produced domestically, and some come from renewable sources.The current alternative fuels available include ethanol, electricity, biodiesel, natural gas (compressed and liquefied), propane and hydrogen. 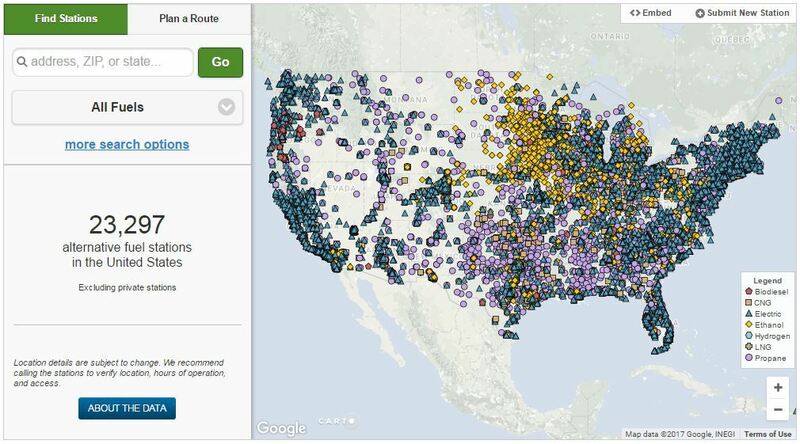 The Alternative Fueling Station Locator provides real-time station locator data to inform fleets, consumers, and other transportation decision makers. 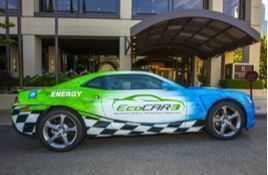 EcoCAR Challenge May 14–20 in Detroit, MI; May 21–25 in Washington, D.C.